There are a number of factors to consider when you try to style your hair extensions. After all, you want your hair to look great without putting your hair extensions — or your fashion — in jeopardy. This is particularly important when you try to rock an updo. Here are some key tips and tricks to styling updos when you’re sporting non damaging extensions. While it is possible to style a streamlined updo, your best bet is choosing a style with a little wiggle room. This means loose ponytails, messy buns, and choosing hair ties with extra give. When you choose tight hairstyles with celebrity extensions, you put your keratin extensions in jeopardy. This is because pulling your hair tightly can disrupt the bond that the extension has with your hair. Of course, this doesn’t mean that you should admonish tight styles altogether. When planning for a more streamlined look, take extra care to be gentle with your hair. Even though it might be tempting to style your hair with heated products, the best thing you can do for your extensions is to avoid the curling iron. This is because flat irons, curling wands, and blow dryers are too hot for your extensions to handle. Whether you opted for keratin extensions or microbeaded extensions, these hair products are too sensitive to handle high temperatures. This is the case whether you use a heat protectant or not. When you do need to style your hair, use no-heat options like sleeping with braids for beachy waves the next day. You can also try blow drying your hair on the coolest setting to preserve your tape extensions. Half up-half down: Your keratin extensions will give you the volume you’ve always wanted from a half up-half down look. Try tying the look together with a simple braid to add nuance to this classic style. Now is the perfect time to experiment with whimsical hairstyles. A low pony: Low ponytails are made all the more alluring with the sheek volume of your hand tied extensions. Channel your inner Rihanna or Ariana Grande by styling your bangs in a smooth tuck behind your ear. A braided ponytail: While we have all tried rocking a braided ponytail in the past, we often fail because our hair lacked the volume to make it stylish. Now is the best time to experiment with braids in all their forms, especially in fun updos. 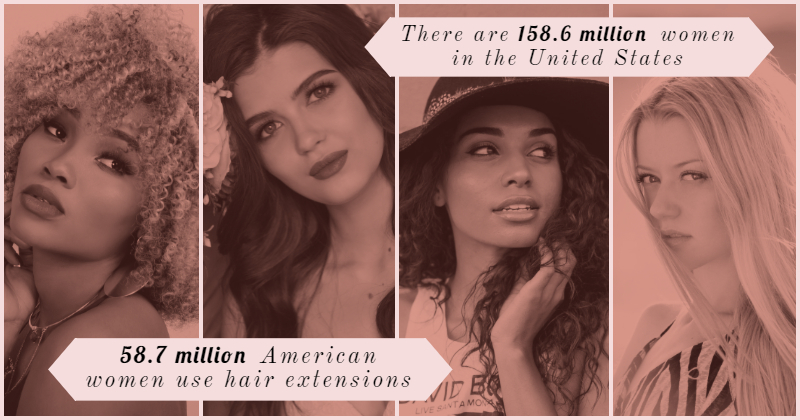 With these fun styles to try, it’s no wonder more than 58 million women invest in hair extensions throughout the United States. For more information on quality hair extensions and fun styles, contact Chaviv Hair today.